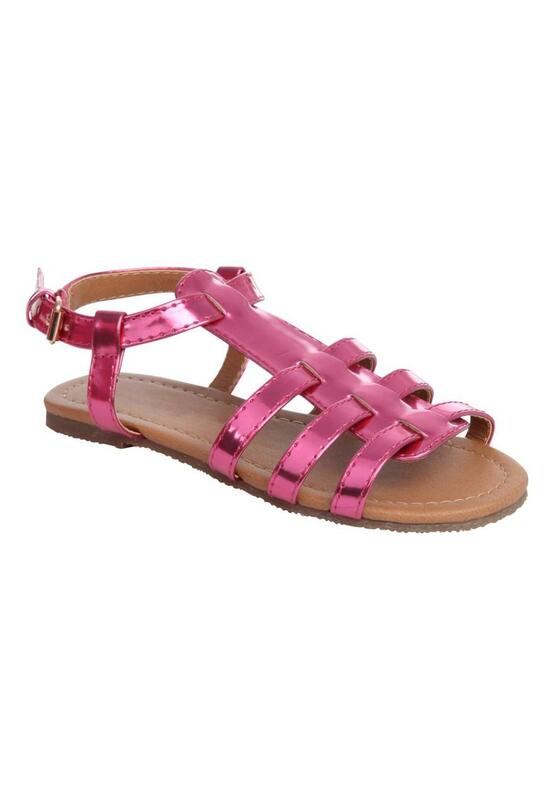 The metallic sheen on these younger girls gladiator sandals means they work well with just about anything. From dressed down jeans and shorts, to pretty, prom-style, party dresses. A great choice if you're looking for a multi-purpose Spring Summer shoe.